Dental Services Lufkin, TX │ Root Canal – Teeth Whitening – Veneers │ Richard D. Byler, D.D.S. At the office of Richard D. Byler, D.D.S., we offer a range of comprehensive and cosmetic dental services to patients of all ages. Dr. Byler has the expertise and knowledge needed to provide every patient with the care they deserve. With a warm and welcoming environment, our patients feel comfortable and can ask any questions they may have about their dental treatment. We suggest that every patient should come in for a dental cleaning every 6 months or as recommended by Dr. Byler. During the cleaning, our registered dental hygienist will remove plaque and tarter build up from your teeth leaving behind a bright and polished smile. In addition, our hygienist will educate you on how to maintain your smile and therefore your oral health between visits. 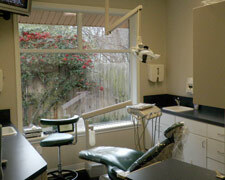 We also offer digital x-rays for higher quality images & care. We offer a wide range of cosmetic dental services that allow our patients to achieve the smile they have always dreamed about. We are able to enhance your smile in a variety of ways; including porcelain veneers, resin veneers, natural-looking tooth-colored fillings, and teeth whitening. Crowns are necessary when a tooth is severely damaged or has suffered from advanced decay and cannot be fixed with bonded filling material. Crowns cover the remaining tooth and restore its function, strength, and esthetics. Several crown material options are available including non-metal crowns. Dr. Byler will discuss these on an individual basis depending on the area of the mouth that needs to be restored. Bridges can be utilized when tooth loss occurs due to gum disease, decay, or injury. The loss of the tooth can create greater problems for your dental health if it is not corrected. The teeth next to the missing tooth (or teeth) can begin to move and result in pain, discomfort, and can look unsightly. With bridges, Dr. Byler will close any gaps in your mouth. The bridge looks and acts just like natural teeth, is permanently cemented, and helps to maintain the position of the rest of your teeth. In the past few years, most silver restorations have been replaced with tooth-colored fillings, resulting in a smile you can be proud of, and which looks completely natural. Dr. Byler will discuss restorative options with you and recommend what is best for your individual situation. When endodontic therapy is performed, your dentist will clean out the infected pulp, and disinfect the canals of the tooth. Once the area has been disinfected, the canals of the tooth are filled with a special material to prevent further infections, and help in the healing of the tooth. Sometimes a core build-up, bonded post, and crown are necessary for restoring a tooth to function. Soon after starting treatment you will start to see a whiter and brighter smile. Schedule an appointment for a consultation with Dr. Byler to see if you're a candidate for teeth whitening! When it comes to the restoration of implants, our team is the one to trust to get the job done right and maintain your beautiful smile. We work with experienced oral surgeons and an expert dental laboratory to achieve a natural look and feel to your implants. Dental emergencies can be very frightening and often painful. Prompt treatment is generally required to alleviate pain and ensure the patient's oral and overall health. If you're dealing with a dental emergency, call us immediately at 936-634-3431 and we will schedule you in as soon as possible. Should you call during after hours, call our regular number and our voicemail will inform you of how to get in touch with us.